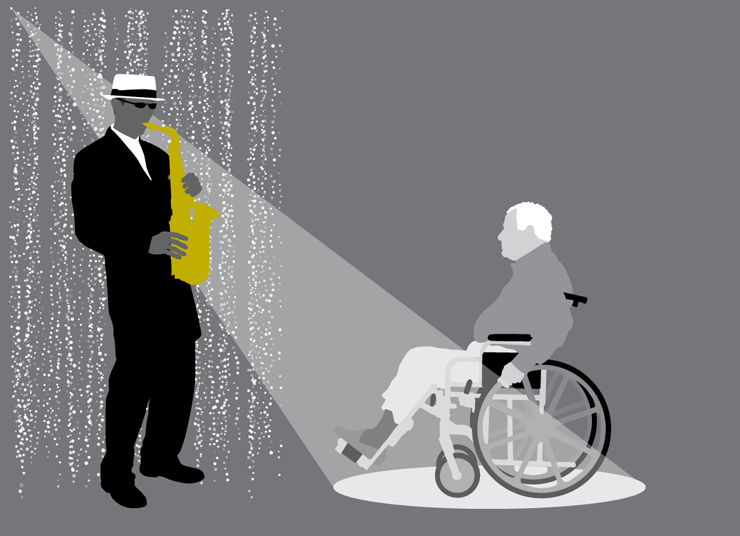 Saxman Slim has also developed a program of big band era hits for the elderly. The saxophone is as revered by the World War II generation as the electric guitar is an icon for baby boomers. Slim has brought back a lot of memories during the one-hour afternoon activities slot in area nursing homes. Just ‘cause it’s old, it doesn’t have to be corny.